Three new judges will be administered oath on Tuesday pursuant to their elevation to the Supreme Court of India. Justice Khehar Singh, who is at present the Chief Justice of the Karnataka High Court would be sworn in ahead of Justice Ranjana Desai and Justice S.J. Mukhopadhyaya in Court Room No. 1 on Tuesday. 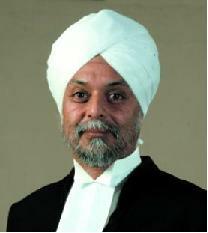 The elevation of Justice Khehar Singh means India will get its first Sikh Chief Justice of India, after the retirement of Justice T.S. Thakur in 2017. The Chart below indicates the dates of appointment and retirement of judges in the Supreme Court. The names highlighted in Red are in line to be appointed Chief Justices and the ones in Green are due to retire this year.